Medical experts clashed in a pretrial hearing for Zackery Brown, 22, who faces charges of aggravated vehicular homicide and operating a motor vehicle while intoxicated. On November 10, 2016, a tragic accident occurred on state Route 115, three miles south of the Putnam County line in Ohio. Zackery Brown, drove off the right side of the road, flipped over, and struck a tree on the passenger side of the vehicle. Brown’s friend, Brenden Wale, was in the passenger seat. Wale was found dead at the scene. Brown and Wale were students at University of Northwestern Ohio. The responding officer, Ohio State Highway Patrol Trooper Michael Kinsinger, reported that Brown smelled of alcohol, had bloodshot, glassy eyes, and was stumbling around at the scene of the accident. Brown told Kinsinger that he was the driver and that he had consumed two beers before the crash. Brown said that another vehicle was driving toward him in his lane and that he had to swerve off the road to avoid crashing when the vehicle did not move back to its lane. Kinsinger reported that there was no evidence to show that another vehicle was involved in the crash. Brown was indicted on two counts of aggravated vehicular homicide and two counts of operating a vehicle under the influence of alcohol. The charges carry a maximum penalty of eight years in prison. Prosecutors presented a report from Dr. Robert Forney, the chief toxicologist with the Lucas County Coroner’s Office. Forney reported that Brown’s blood alcohol content at the time of the crash was at least 0.086 grams per deciliter. Forney’s analysis was based on a blood sample obtained from Brown nearly three hours after the accident. Forney explained that he used a process called retrograde extrapolation, where forensic scientists work backward from a point in time to establish the level of intoxication in an individual. Defense attorneys filed a motion and challenged Forney’s conclusion and methodology. They presented their own expert witness, Dr. Robert Velloto, who testified that he was trained in clinical pharmacology and has a master’s degree in pharmaceutical chemistry. Prosecutors challenged Dr. Velloto’s qualifications, but Judge Jeffrey Reed allowed Velloto to testify as an expert witness. Velloto opined that Forney’s report was based on assumptions rather than fact and stated that he did not believe in retrograde extrapolation at all. Retrograde extrapolation in determining blood alcohol concentration is based on the assumption that people eliminate alcohol at a fixed rate of between 0.01 grams and 0.02 grams per deciliter of blood per hour. For a retrograde extrapolation calculation to be valid, a person must metabolize alcohol at the normal rate and the person must be in the postabsorption phase, which typically occurs 15 to 90 minutes after a person’s last drink. A person’s absorption rate will vary depending on many factors, including the type of food eaten, type of alcohol consumed, and the length of time during which the drinking occurred. 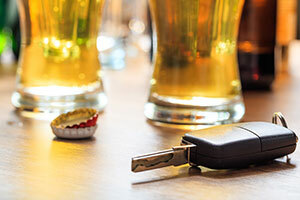 It is precisely because retrograde extrapolation is uncertain that blood alcohol test results are only presumed to be valid if the blood sample is drawn within three hours after the test subject was driving. The longer the delay in obtaining a test sample, the more speculative the examiner’s conclusions are likely to be.